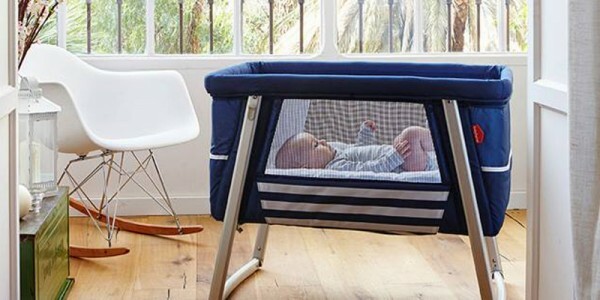 Babies have few needs: food, love and plenty of nappies and changes of clothes normally do the trick, but trust us when we say you need the Dream Bassinet from Babyhome. It’s too gorgeous. Babyhome makes baby gear for design savvy parents and their tiny future tastemakers. The bassinets, highchairs and prams are sleek, subdued and look right at home next to say, a Danish made sideboard, or a terrarium full of rare succulents, or a designer cat perched atop a streamlined lounge. 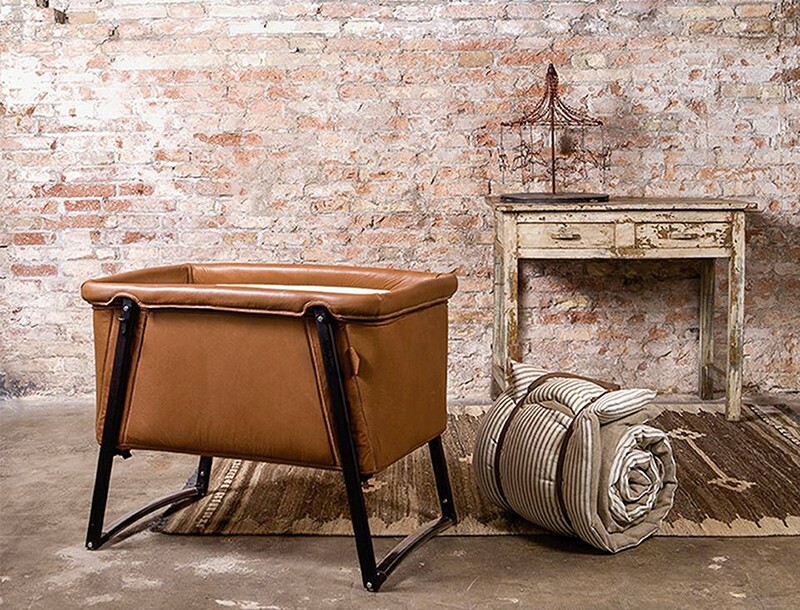 Made of perforated cognac leather with a black aluminium frame, the Dream Premium Bassinet ($1039) is downright elegant and clever. Its six kilo frame is easy to maneuver from room to room and looks beautiful wherever it rests, and it’s got three interchangeable positions. With the push of a button, the bassinet changes from stationary, to rocking, to wheeled. For hot weather, Babyhome has also designed the Air Bassinet, a fabric bassinet with mesh windows and magnetic closures so you can stealthily peek in on your baby. Parents-to-be, laugh if you want at the idea of a mum commando crawling up to her sleeping baby and peering in a mesh window, but we’ve all been there, and you’ll be there too! The Air Bassinet also has stationary, rocking and wheeled positions, a zip-on changing pad and side pockets to stash your essentials. The Babyhome Dream Premium Bassinet is available at Prams.net, and ships to Australia for $168. The Air is coming soon.